Braun There are 66 products. Produced in 1999, the InterFace 3105 is a corded shaver with Interface foil system, Fold-out long hair cutter, easy foil release button, automatic voltage selection, Large central switch for all shaving functions, available in blue or black color. Rechargeable shaver with InterFace foil system, Charging indicator light, charging time 1Hour, overcharge protection, battery autonimy 35 min., automatic voltage and frequency, foldable long hair cutter. Shaver with integral cutter, extendable hair trimmer, large central switch for all functions and overcharge protection. Original and aftermarket replacement heads, foils, cutters, parts and accessories for your Braun 3770 InterFace Excel electric shaver. Transparent blue shaver, rechargeable with 30mins autonomy and hair trimmer, Voltage: 100 - 240V. Original and aftermarket replacement heads, foils, cutters, parts and accessories for your Braun 3773 InterFace Excel electric shaver. Battery shaver produced in 1997, rotatable protective cap, sharp shaving system, 60 minutes of operation with 2 Alkaline Batteries. The Pocket Twist Plus was designed by Roland Ullmann, produced in 1999 using a transparent black body and a rotating switch. Battery charger with swivel cap. Automatic switch locking. Approx. 60 shaving minutes. Release button to remove the head. Easy one-hand operation. Metallic gray shaver, with FreeFloat system, washable head, hair trimmer, 30mins of autonomy, charging indicator, 5 minutes quick recharge, worldwide automatic voltage adjustment. Fixed shaving head with SmartFoil foil, 60 minutes of autonomy, washable under running water, extra-wide shaving foil for comfortable shave. Mobileshave, completely washable, works with 2 AA batteries. Trimmer, flexible SmartFoil and rotative protective cap. The Cruzer6 Face is a 3in1 shaver for shaving, trimming and styling, safe for shower use, adjustable trimmer length. Fixed shaver head, rechargeable with charging indicator, gray color. Original and aftermarket replacement heads, foils, cutters, parts and accessories for your Braun 8585 Activator electric shaver. The Braun Activator is the world's first foil with different sized holes for optimal shaving. Cord and cordless operation, Clean & Charge cleaning station, Charging time 1 hour, fast charging time 3 minutes, autonomy 50 minutes, long extendable hair trimmer, automatic voltage. Extendable long hair cutter, Operating Autonomy - 50 min, Charging time 1 hour, fast charging time 3 minutes, 100-240v Voltage, Smart Foil and Pivoting Head, Precision Comfort Blades, Colour: Silver. The Entry 1008 was produced in 1998, had a precision foil, fold-out longhair trimmer, switchable voltage and impact resistant, ainti-slip housing. Rechargeable shaver with Pop-up trimmer, Automatic voltage and frequency adjustment, 1 hour quick charge, overcharge protection, Impact and anti-slip plastic housing. Braun Micron Vario 3020 original and aftermarket replacement heads, foils, cutters and parts. Battery and mains operated shaver, features Vario 3 shaving technology, extendable hair trimmer, automatic voltage adjustment. Made in 1984, the Micron Vario 3 is a 110v/240v classic shaver, includes a long hair cutter, has a metal shaving head frame and works with a oscillating motor. The Lady Braun Elegance 2 /3 is a foil trimmer Ladyshaver made in: Germany in 1985 and discontinued in 1998. Designed by Roland Ullmann. White Color. Original and aftermarket replacement heads, foils, cutters, packs, spare parts and accessories for your Braun 5422 Shaver. The Braun Micron Plus/ Micron 1000/ ELTRON 900/ 2101 is a 110/220V corded electric shaver, made in Germany in 1979. Foil and Trimmer system, designed by Roland Ullmann. Black color/metal Body. Braun 5585 replacement heads, foils, cutters, trimmers, parts and accessories. The Braun Flex Control 5585 was produced in 1990 and discontinued in 2001. Features the new pivoting head with dual foils, and three stage switch. The Braun Twin Control 4605 is a rechargeable shaver with twin foil system, washable shaver head and a pop-out trimmer. Original and aftermarket replacement heads, foils, cutters, parts and accessories for your Braun 4515 electric shaver. The Flex Control universal 4515 is the first double foil + trimmer shaver. Designed by Roland Ullmann, made in Germany in 1990. Original and aftermarket replacement heads, foils, cutters, parts and accessories for your Braun 5260 electric shaver. The Braun Marcant was designed by Robert Oberheim, produced in 1974 In Germany. The Braun Sprint 5543 is a battery shaver made in Germany in 1977. System: foil + trimmer. Intercity is a foil + trimmer shaver designed by Roland Ullmann, made in Germany in 1977. Synchron 2-way is a foil + trimmer shaver designed by Roland Ullmann, made in Germany in 1977. Original and aftermarket replacement heads, foils, cutters, parts and accessories for your Braun 5372 electric shaver. Braun 5372 Compact is a dual voltage, foil and trimmer shaver. Made in Germany in 1979. Designed by D.Rams, Robert Oberheim, R.Ullmann. Made in Germany from 1979, it is a system: foil + trimmer shaver designed by D.Rams, R.Oberheim, R.Ullmann. 120 / 240V Operated. Black color. 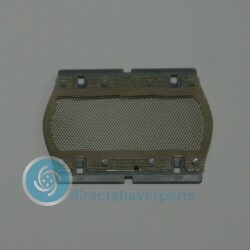 Original and aftermarket replacement heads, foils, cutters, parts and accessories for your Braun 5321 electric shaver. Original and aftermarket replacement heads, foils, cutters, parts and accessories for your Braun 5322 electric shaver. Original and aftermarket replacement heads, foils, cutters, parts and accessories for your Braun 5323 electric shaver. 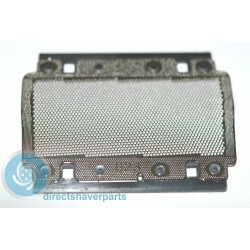 Original and aftermarket replacement heads, foils, cutters, parts and accessories for your Braun 5330 sixtant s shaver. Designed by Richard Fischer, the Braun Sixtant S was made in Germany in 1968. It is a foil + trimmer system shaver, powered by 110/220V switchable. Body is black/metal. Original and aftermarket replacement heads, foils, cutters, parts and accessories for your Braun 5350 electric shaver. Original and aftermarket replacement heads, foils, cutters, parts and accessories for your Braun 5511 electric shaver. Original and aftermarket replacement heads, foils, cutters, parts and accessories for your Braun 5512 electric shaver. Original and aftermarket replacement heads, foils, cutters, parts and accessories for your Braun 5381 electric shaver. Original and aftermarket replacement heads, foils, cutters, parts and accessories for your Braun 5383 electric shaver. 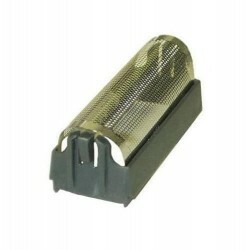 Replacement Cutters, Foils, suports, spare parts and accessories for your Braun Sixtant 8008. It's a foil and trimmer system shaver, features a slider button. Made in Germany in 1973, designed by Dieter Rams, Florian Seiffert, Robert Oberheim. Body is in metal and black plastic. Original and aftermarket replacement heads, foils, cutters, parts and accessories for your Braun 5220 electric shaver. Original and aftermarket replacement heads, foils, cutters, parts and accessories for your Braun Sprint electric shaver. Original and aftermarket replacement heads, foils, cutters, parts and accessories for your Braun Intercity electric shaver. Original and aftermarket replacement heads, foils, cutters, parts and accessories for your Braun Synchron 2Way electric shaver. 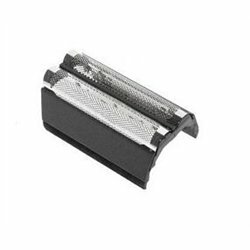 Original and aftermarket replacement heads, foils, cutters, parts and accessories for your Braun Micron Battery electric shaver. Original and aftermarket replacement heads, foils, cutters, parts and accessories for your Braun Synchron Battery electric shaver. Original and aftermarket replacement heads, foils, cutters, parts and accessories for your Braun 5410 Micron S, Micron L, Eltron electric shaver. Aftermarket and original Braun Micron replacement parts, heads, foils, cutters and accessories. Discontinued in 2001, the Braun Micron is a foil and pop-up trimmer. Automatic voltage 100-240 V.
Original and aftermarket replacement heads, foils, cutters, parts and accessories for your Braun Micron S electric shaver. 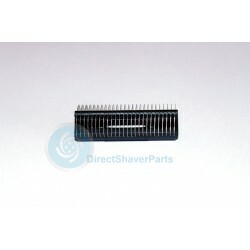 Original and aftermarket replacement heads, foils, cutters, parts and accessories for your Braun Micron L electric shaver. Original and aftermarket replacement heads, foils, cutters, parts and accessories for your Braun 2011 electric shaver. Original and aftermarket replacement heads, foils, cutters, parts and accessories for your Braun Eltron770 electric shaver. Original and aftermarket replacement heads, foils, cutters, parts and accessories for your Braun 5211 electric shaver. Original and aftermarket replacement heads, foils, cutters, parts and accessories for your Braun 5212 synchron S start electric shaver. Original and aftermarket replacement heads, foils, cutters, parts and accessories for your Braun 5213 electric shaver. Original and aftermarket replacement heads, foils, cutters, parts and accessories for your Braun 5265 electric shaver. Original and aftermarket replacement heads, foils, cutters, parts and accessories for your Braun 5235 electric shaver. Original and aftermarket replacement heads, foils, cutters, parts and accessories for your Braun Linear Universal electric shaver. Original and aftermarket replacement heads, foils, cutters, parts and accessories for your Braun 245 electric shaver. Original and aftermarket replacement heads, foils, cutters, parts and accessories for your Braun 278 electric shaver. Original and aftermarket replacement heads, foils, cutters, parts and accessories for your Braun Sixtant electric shaver. Original and aftermarket replacement heads, foils, cutters, parts and accessories for your Braun 2003 electric shaver. Original and aftermarket replacement heads, foils, cutters, parts and accessories for your Braun 2004 electric shaver. Original and aftermarket replacement heads, foils, cutters, parts and accessories for your Braun 2006 electric shaver. Original and aftermarket replacement foils, Cutters, heads, blades, parts and accessories for your Braun 5526 electric shaver. The Pocket was made in Germany in 1984. It is a foil only shaver, Powered by 2 batteries. body: black. Designer: Roland Ullmann. Discontinued in 1999. Original and aftermarket replacement heads, foils, cutters, parts and accessories for your Braun 5555 electric shaver. Original and aftermarket replacement heads, foils, cutters, parts and accessories for your Braun Synchron Traveler RC electric shaver. Original and aftermarket replacement heads, foils, cutters, parts and accessories for your Braun 5310 electric shaver. Original and aftermarket replacement heads, foils, cutters, parts and accessories for your Braun 5565 electric shaver. Original replacement heads, foils, cutters, parts, blades and accessories for your Braun 5660 Lady Shaver. The Lady Braun Elegance was designed by Roland Ullmann in 1979. Made in Germany. Power: 110/220V. Color: white, red or green. System: foil + 2 trimmers. Original and aftermarket replacement heads, foils, cutters, parts and accessories for your Braun 5661 electric shaver. Original and aftermarket replacement heads, foils, cutters, parts and accessories for your Braun Lady Braun Elegance Exclusive electric shaver. Original and aftermarket replacement heads, foils, cutters, parts and accessories for your Braun Lady Braun Elegance Compact electric shaver. Original and aftermarket replacement outer foils, cutters, heads, caps, blade supports, spare parts and accessories for your Braun Linear shaver. The Braun Linear series (Linear 235/ Linear 240/ Linear 245) was produced in Germany in 1986. System: foil and hair trimmer trimmer. Designed by Roland Ullmann. Available in black, yellow, green, red and grey. Original and aftermarket replacement heads, foils, cutters, parts and accessories for your Braun Sixtant 2004 electric shaver. Original and aftermarket replacement heads, foils, cutters, parts and accessories for your Braun Sixtant 2006 electric shaver. Original and aftermarket replacement heads, foils, cutters, parts and accessories for your Braun 7015 electric shaver. Original and aftermarket replacement heads, foils, cutters, parts and accessories for your Braun 7475 electric shaver. Original and aftermarket replacement heads, foils, cutters, parts and accessories for your Braun 7493 electric shaver. Original and aftermarket replacement heads, foils, cutters, parts and accessories for your Braun 7497 electric shaver. Original and aftermarket replacement heads, foils, cutters, parts and accessories for your Braun 7546 electric shaver. Original and aftermarket replacement heads, foils, cutters, parts and accessories for your Braun 7504 electric shaver. Original and aftermarket replacement heads, foils, cutters, parts and accessories for your Braun 7505 Syncro electric shaver. LED charge control and power light, Charging time 1 hour, Battery capacity 50 minutes, Unique 4x moving head (The dynamic lateral movement means more hairs grasped in fewer strokes and the friction is reduced). Original and aftermarket replacement heads, foils, cutters, parts and accessories for your Braun 7510 electric shaver. Rechargeable and mains shaver with 4-way moving head, Automatic voltage and Frequency adjustment, Charging time 1 hour. Original and aftermarket replacement heads, foils, cutters, parts and accessories for your Braun 7515 electric shaver. Original and aftermarket replacement heads, foils, cutters, parts and accessories for your Braun 7516 electric shaver. Original and aftermarket replacement heads, foils, cutters, parts and accessories for your Braun 7520 electric shaver. Original and aftermarket replacement heads, foils, cutters, parts and accessories for your Braun 7540 electric shaver. Original and aftermarket replacement heads, foils, cutters, parts and accessories for your Braun 7566 electric shaver. Original and aftermarket replacement heads, foils, cutters, parts and accessories for your Braun 7570 electric shaver. Original and aftermarket replacement foil, heads, chargers, battery, cutters, parts and accessories for your Braun 7630 shaver. The Braun Syncro 7630 is a Battery and mains shaver with a moving oscillating head, clean & charge station and a very long extendable hair trimmer. 50 minutes of autonomy with a 1 hour charge. SmartLogic charging system and led indicator. Original and aftermarket replacement heads, foils, cutters, parts and accessories for your Braun 7650 electric shaver. Original and aftermarket replacement heads, foils, cutters, parts and accessories for your Braun 7680 electric shaver. Original and aftermarket replacement heads, foils, cutters, parts and accessories for your Braun 7690 electric shaver. Original and aftermarket replacement heads, foils, cutters, parts and accessories for your Braun 7765 electric shaver. Original and aftermarket replacement heads, foils, cutters, parts and accessories for your Braun 7785 electric shaver. Original and aftermarket replacement heads, foils, cutters, parts and accessories for your Braun 7790 electric shaver. Original and aftermarket replacement heads, foils, cutters, parts and accessories for your Braun 7795 electric shaver. Original and aftermarket replacement heads, foils, cutters, parts and accessories for your Braun 5491 electric shaver. Original and aftermarket replacement heads, foils, cutters, parts and accessories for your Braun 5492 electric shaver. Original and aftermarket replacement heads, foils, cutters, parts and accessories for your Braun 5493 electric shaver. Original and aftermarket replacement heads, foils, cutters, parts and accessories for your Braun 5494 electric shaver. Original and aftermarket replacement heads, foils, cutters, parts and accessories for your Braun 5495 electric shaver. Original and aftermarket replacement heads, foils, cutters, parts and accessories for your Braun 4876 electric shaver. Original and aftermarket replacement heads, foils, cutters, parts and accessories for your Braun 4875 electric shaver. Original and aftermarket replacement heads, foils, cutters, parts and accessories for your Braun 4845 electric shaver. Original and aftermarket replacement heads, foils, cutters, parts and accessories for your Braun 4840 electric shaver. Original and aftermarket replacement heads, foils, cutters, parts and accessories for your Braun 4815 electric shaver. Original and aftermarket replacement heads, foils, cutters, parts and accessories for your Braun 4775 electric shaver. Original and aftermarket replacement heads, foils, cutters, parts and accessories for your Braun 4745 electric shaver. Original and aftermarket replacement heads, foils, cutters, parts and accessories for your Braun 4740 electric shaver. The Tricontrol 4740 is a rechargeable shaver with Flex Integral System, fixed shaver head with integrated cutter, angled head to reach dificult areas, extendable longhair trimmer, battery capacity 30 minutes, comes with a hard-shell travel case. Original and aftermarket replacement heads, foils, cutters, parts and accessories for your Braun 4715 electric shaver. Original and aftermarket replacement heads, foils, cutters, parts and accessories for your Braun 4739 electric shaver. Original and aftermarket replacement heads, foils, cutters, parts and accessories for your Braun 4746 electric shaver. Original and aftermarket replacement heads, foils, cutters, packs and sparesfor your Braun 4747 electric shaver. Original and aftermarket replacement heads, foils, cutters, parts and accessories for your Braun 4776 electric shaver. Original and aftermarket replacement heads, foils, cutters, parts and accessories for your Braun 5717 electric shaver. Original and aftermarket replacement heads, foils, cutters, parts and accessories for your Braun 5716 electric shaver. Original and aftermarket replacement heads, foils, cutters, parts and accessories for your Braun 5713 electric shaver. Original and aftermarket replacement heads, foils, cutters, parts and accessories for your Braun 5714 electric shaver. Original and aftermarket replacement heads, foils, cutters, parts and accessories for your Braun 5742 electric shaver. Original and aftermarket replacement heads, foils, cutters, parts and accessories for your Braun 5743 electric shaver. Original and aftermarket replacement heads, foils, cutters, parts and accessories for your Braun 5744 electric shaver. Original and aftermarket replacement heads, foils, cutters, parts and accessories for your Braun 5747 electric shaver. Original and aftermarket replacement heads, foils, cutters, parts and accessories for your Braun 340 electric shaver. Original and aftermarket replacement heads, foils, cutters, parts and accessories for your Braun 320 electric shaver. Original and aftermarket replacement heads, foils, cutters, parts and accessories for your Braun 310 electric shaver. Original and aftermarket replacement heads, foils, cutters, parts and accessories for your Braun 300 electric shaver. Original and aftermarket replacement heads, foils, cutters, parts and accessories for your Braun 199 electric shaver. Original and aftermarket replacement heads, foils, cutters, parts and accessories for your Braun 550cc electric shaver. Original and aftermarket replacement heads, foils, cutters, parts and accessories for your Braun 565 electric shaver. Original and aftermarket replacement heads, foils, cutters, parts and accessories for your Braun 565cc electric shaver. Original and aftermarket replacement heads, foils, cutters, parts and accessories for your Braun 590 electric shaver. Original and aftermarket replacement heads, foils, cutters, parts and accessories for your Braun 5759 electric shaver. Original and aftermarket replacement heads, foils, cutters, parts and accessories for your Braun 9030S electric shaver. Original and aftermarket replacement heads, foils, cutters, parts and accessories for your Braun 9050CC electric shaver. Original and aftermarket replacement heads, foils, cutters, parts and accessories for your Braun 9070CC electric shaver. Original and aftermarket replacement heads, foils, cutters, parts and accessories for your Braun 9075CC electric shaver. Original and aftermarket replacement heads, foils, cutters, parts and accessories for your Braun 9090CC electric shaver. Original and aftermarket replacement heads, foils, cutters, parts and accessories for your Braun 9095CC electric shaver. Original and aftermarket replacement heads, foils, cutters, parts and accessories for your Braun 5735 electric shaver. Original and aftermarket replacement heads, foils, cutters, parts and accessories for your Braun 5736 electric shaver. Original and aftermarket replacement heads, foils, cutters, parts and accessories for your Braun 5738 electric shaver. Original and aftermarket replacement heads, foils, cutters, parts and accessories for your Braun 5739 electric shaver. Original and aftermarket replacement heads, foils, cutters, parts and accessories for your Braun 5873 electric shaver. Original and aftermarket replacement heads, foils, cutters, parts and accessories for your Braun 5874 electric shaver. Original and aftermarket replacement heads, foils, cutters, parts and accessories for your Braun 5875 electric shaver. Original and aftermarket replacement heads, foils, cutters, parts and accessories for your Braun 5877 electric shaver. Original and aftermarket replacement heads, foils, cutters, parts and accessories for your Braun 5887 electric shaver. Original and aftermarket replacement heads, foils, cutters, parts and accessories for your Braun 50 electric shaver. Original and aftermarket replacement heads, foils, cutters, parts and accessories for your Braun 5895 electric shaver. Original and aftermarket replacement heads, foils, cutters, parts and accessories for your Braun 5897 electric shaver. Original and aftermarket replacement heads, foils, cutters, parts and accessories for your Braun 380CC electric shaver. Original and aftermarket replacement heads, foils, cutters, parts and accessories for your Braun 395cc electric shaver. Original and aftermarket replacement heads, foils, cutters, parts and accessories for your Braun 5613 electric shaver. Original and aftermarket replacement heads, foils, cutters, parts and accessories for your Braun 5663 electric shaver. Original and aftermarket replacement heads, foils, cutters, parts and accessories for your Braun 5726 electric shaver. Original and aftermarket replacement heads, foils, cutters, parts and accessories for your Braun 5600 electric shaver. Original and aftermarket replacement heads, foils, cutters, parts and accessories for your Braun 5610 electric shaver. Original and aftermarket replacement heads, foils, cutters, parts and accessories for your Braun 5612 electric shaver. Flexible oscillating Flex XP head with double shear foil and integral cutter, long extendable long hair cutter, automatic voltage and frequency adjustment, charging indicator light, 1 hour charging time for up to 40 minutes of battery operation. Original and aftermarket replacement heads, foils, cutters, parts and accessories for your Braun 5665 electric shaver. Original and aftermarket replacement heads, foils, cutters, parts and accessories for your Braun 5719 electric shaver. Original and aftermarket replacement heads, foils, cutters, parts and accessories for your Braun 5720 electric shaver. Original and aftermarket replacement heads, foils, cutters, parts and accessories for your Braun 5721 electric shaver. Original and aftermarket replacement heads, foils, cutters, parts and accessories for your Braun 5723 electric shaver. Original and aftermarket replacement heads, foils, cutters, parts and accessories for your Braun 5724 electric shaver. Original and aftermarket replacement heads, foils, cutters, parts and accessories for your Braun 5770 electric shaver. Original and aftermarket replacement heads, foils, cutters, parts and accessories for your Braun 5771 electric shaver. Original and aftermarket replacement heads, foils, cutters, parts and accessories for your Braun 5715 electric shaver. Original and aftermarket replacement heads, foils, cutters, parts and accessories for your Braun 5496 electric shaver. Original and aftermarket replacement heads, foils, cutters, parts and accessories for your Braun 5691 electric shaver. Original and aftermarket replacement heads, foils, cutters, parts and accessories for your Braun 5790 electric shaver. Original and aftermarket replacement heads, foils, cutters, parts and accessories for your Braun 5791 electric shaver. Original and aftermarket replacement heads, foils, cutters, parts and accessories for your Braun 5795 electric shaver. Original and aftermarket replacement heads, foils, cutters, parts and accessories for your Braun 5796 electric shaver. Original and aftermarket replacement heads, foils, cutters, parts and accessories for your Braun 5722 electric shaver. Original and aftermarket replacement heads, foils, cutters and spare parts for your Braun 170s-1 electric shaver. The Braun 170s is a washable corded shaver with a fixed large shaving head, SmartFoil foi and hair trimmer. Color - Black. Original and aftermarket replacement heads, foils, cutters, parts and accessories for your Braun 395CC3 electric shaver. Original and aftermarket replacement heads, foils, cutters, parts and accessories for your Braun 390cc5 electric shaver. Original and aftermarket replacement heads, foils, cutters, parts and accessories for your Braun 180 electric shaver. Original and aftermarket replacement heads, foils, cutters, parts and accessories for your Braun 190s electric shaver. Original and aftermarket replacement heads, foils, cutters, parts and accessories for your Braun 5775 electric shaver. Original and aftermarket replacement heads, foils, cutters, parts and accessories for your Braun 360 electric shaver. Original and aftermarket replacement heads, foils, cutters, parts and accessories for your Braun 370cc electric shaver. Original and aftermarket replacement heads, foils, cutters, parts and accessories for your Braun 380 electric shaver. Original and aftermarket replacement heads, foils, cutters, parts and accessories for your Braun 390cc electric shaver. Original and aftermarket replacement heads, foils, cutters, parts and accessories for your Braun 5411 electric shaver. Original and aftermarket replacement heads, foils, cutters, parts and accessories for your Braun 5413 electric shaver. Original and aftermarket replacement heads, parts, accessories and replacement foils and cutters for braun 5414 electric shaver. Battery and mains shaver with Flex Integral shaving system, oscillating head with doublefoil and integral cutter. Fold-out longhair trimmer, green indicator light, very silent, overcharge protection. Original and aftermarket replacement heads, foils, cutters, parts and accessories for your Braun 5415 electric shaver. Original and aftermarket replacement heads, foils, cutters, parts and accessories for your Braun 5416 Flex Integral shaver. The 5416 is a mains /battery shaver with Flex Integral system, oscillating heads with double foil. Extendable trimmer, indicator charge leds, overcharge protection. Original and aftermarket replacement heads, foils, cutters, parts and accessories for your Braun 390cc-4 electric shaver. Original and aftermarket replacement heads, foils, cutters, parts and accessories for your Braun 360s-4 electric shaver. Original and aftermarket replacement heads, foils, cutters, parts and accessories for your Braun 345s-4 electric shaver. Original and aftermarket replacement heads, foils, cutters, parts and accessories for your Braun 340s-4 electric shaver. Original and aftermarket replacement heads, foils, cutters, parts and accessories for your Braun 380s-4 electric shaver. Original and aftermarket replacement heads, foils, cutters, parts and accessories for your Braun 330s-4 electric shaver. The Series 3 is a rechargeable washable shaver with Sensotec Foil, waterproof, Triple Action FreeFloat System, long hair trimmer, 1 hour of charging time and 45 minutes of cordless shaving. Original and aftermarket replacement heads, foils, cutters, parts and accessories for your Braun 320s-4 electric shaver. Original and aftermarket replacement heads, foils, cutters, parts and accessories for your Braun 320s-5 electric shaver. Original and aftermarket replacement heads, foils, cutters, parts and accessories for your Braun 330s-5 electric shaver. Original and aftermarket replacement heads, foils, cutters, parts and accessories for your Braun 3000 electric shaver. Original and aftermarket replacement heads, foils, cutters, parts and accessories for your Braun 370cc-4 electric shaver. Original and aftermarket replacement heads, foils, cutters, parts and accessories for your Braun 350cc-4 electric shaver. Original and aftermarket replacement heads, foils, cutters, parts and accessories for your Braun 350cc5 electric shaver. Original and aftermarket replacement heads, foils, cutters, parts and accessories for your Braun 3050cc electric shaver. Original and aftermarket replacement heads, foils, cutters, parts and accessories for your Braun 3070cc electric shaver. Original and aftermarket replacement heads, foils, cutters, parts and accessories for your Braun 5412 electric shaver. Original and aftermarket replacement heads, foils, cutters, parts and accessories for your Braun 5710 electric shaver. Original and aftermarket replacement heads, foils, cutters, parts and accessories for your Braun 6690 electric shaver. Original and aftermarket replacement heads, foils, cutters, parts and accessories for your Braun 6680 electric shaver. Rechargeable shaver with Flexible oscillating head with double shear foil and integral cutter, "Glide Control" for individual shaving lotion to be applied, Extendable long hair cutter, Battery capacity 50 minutes,Color: silver / blue. Original and aftermarket replacement heads, foils, cutters, parts and accessories for your Braun Face electric shaver. Original and aftermarket replacement heads, foils, cutters, parts and accessories for your Braun 40 electric shaver. Original and aftermarket replacement heads, foils, cutters, parts and accessories for your Braun 5090CC electric shaver. Original and aftermarket replacement heads, foils, cutters, parts and accessories for your Braun 5748 electric shaver. Original and aftermarket replacement heads, foils, cutters, parts and accessories for your Braun 5070CC electric shaver. Original and aftermarket replacement heads, foils, cutters, parts and accessories for your Braun 5050CC electric shaver. Original and aftermarket replacement heads, foils, cutters, parts and accessories for your Braun 5749 electric shaver. Original and aftermarket replacement heads, foils, cutters, parts and accessories for your Braun 5040S electric shaver. Original replacement heads, foils, chargers, batteries, spare parts and accessories for your Braun 5030S electric shaver. Braun 5030s Series 5 shaver with FlexMotionTec system that offers better skin contact in problem areas,40° swiveling shaving head. CrossHair blade that captures unruly hair in different growth directions. Precision trimmer, 45 min. of shave with a 1hour charge. Store bag included. Original and aftermarket replacement heads, foils, cutters, parts and accessories for your Braun 5020S electric shaver. Original and aftermarket replacement heads, foils, cutters, parts and accessories for your Braun CT2s electric shaver. Original and aftermarket replacement heads, foils, cutters, parts and accessories for your Braun CT2cc electric shaver. Original and aftermarket replacement heads, foils, cutters, parts and accessories for your Braun CT3cc electric shaver. Original and aftermarket replacement heads, foils, cutters, parts and accessories for your Braun CT4s electric shaver. Original and aftermarket replacement heads, foils, cutters, parts and accessories for your Braun CT4cc electric shaver. Original and aftermarket replacement heads, foils, cutters, parts and accessories for your Braun CT5cc electric shaver. Original and aftermarket replacement heads, foils, cutters, parts and accessories for your Braun CT6cc electric shaver. Original and aftermarket replacement heads, foils, cutters, parts and accessories for your Braun 5676 electric shaver. Original and aftermarket replacement heads, foils, cutters, parts and accessories for your Braun 510 electric shaver. Original and aftermarket replacement heads, foils, cutters, parts and accessories for your Braun 550s3 electric shaver. Original and aftermarket replacement heads, foils, cutters, parts and accessories for your Braun 550s-4 electric shaver. Original and aftermarket replacement heads, foils, cutters, parts and accessories for your Braun 560s3 electric shaver. Original and aftermarket replacement heads, foils, cutters, parts and accessories for your Braun 560s-4 electric shaver. 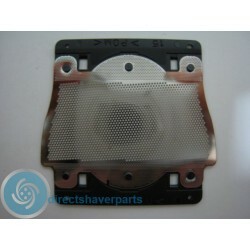 Original and aftermarket replacement heads, foils, cutters, parts and accessories for your Braun 8385CR electric shaver. Original and aftermarket replacement heads, foils, cutters, parts and accessories for your Braun WF2S electric shaver. Original and aftermarket replacement heads, foils, cutters, parts and accessories for your Braun 5760 electric shaver. Original and aftermarket replacement heads, foils, cutters, parts and accessories for your Braun 5427 electric shaver. Original and aftermarket replacement heads, foils, cutters, parts and accessories for your Braun 5418 electric shaver. Original and aftermarket replacement heads, foils, cutters, parts and accessories for your Braun BT5010 electric shaver. Original and aftermarket replacement heads, foils, cutters, parts and accessories for your Braun BT5050 electric shaver. Original and aftermarket replacement heads, foils, cutters, parts and accessories for your Braun BT5070 electric shaver. Original and aftermarket replacement heads, foils, cutters, parts and accessories for your Braun BT5090 electric shaver. Original and aftermarket replacement heads, foils, cutters, parts and accessories for your Braun 5417 electric shaver. Original and aftermarket replacement heads, foils, cutters, parts and accessories for your Braun BT7050 electric shaver. Original and aftermarket replacement heads, foils, cutters, parts and accessories for your Braun 5518 electric shaver. Original and aftermarket replacement heads, foils, cutters, parts and accessories for your Braun 5519 electric shaver. 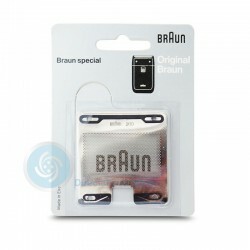 Original replacement foils, cutters, parts and batteries for your Braun 5523 Pocket shaver. The Braun Pocket is a foil system shaver, made in Ireland in 1990, powered by 3V battery. Designed by Roland Ullmann, black color. Original and aftermarket replacement heads, foils, cutters, parts and accessories for your Braun 5524 electric shaver. Original and aftermarket replacement heads, foils, cutters, parts and accessories for your Braun 5525 electric shaver. Original and aftermarket replacement heads, foils, cutters, parts and accessories for your Braun 5574 electric shaver. Original and aftermarket replacement heads, foils, cutters, parts and accessories for your Braun 5225 electric shaver. Original and aftermarket replacement heads, foils, cutters, parts and accessories for your Braun 5226 electric shaver. Original and aftermarket replacement heads, foils, cutters, parts and accessories for your Braun 5240 electric shaver. Original replacement heads, foils, cutters, spare parts and accessories for the Braun 5530 shaver. Braun Produced the Braun Parat BT / SM53 in Germany by 1965. It's a foil and hair trimmer shaver designed by Richard Fischer Fischer and Dieter Rams. Original and aftermarket replacement heads, foils, cutters, parts and accessories for your Braun 9591 electric shaver. Original and aftermarket replacement heads, foils, cutters, parts and accessories for your Braun 9595 electric shaver. Original and aftermarket replacement heads, foils, cutters, parts and accessories for your Braun 9791 electric shaver. Original and aftermarket replacement heads, foils, cutters, parts and accessories for your Braun 9765 electric shaver. Original and aftermarket replacement heads, foils, cutters, parts and accessories for your Braun 9795 electric shaver. Original and aftermarket replacement heads, foils, cutters, parts and accessories for your Braun 5671 electric shaver. Original and aftermarket replacement heads, foils, cutters, parts and accessories for your Braun 5672 electric shaver. Original and aftermarket replacement heads, foils, cutters, parts and accessories for your Braun 5673 electric shaver. Original and aftermarket replacement heads, foils, cutters, parts and accessories for your Braun 5674 electric shaver. Original and aftermarket replacement heads, foils, cutters, parts and accessories for your Braun 5692 electric shaver. Original and aftermarket replacement heads, foils, cutters, parts and accessories for your Braun 5694 electric shaver. Original and aftermarket replacement heads, foils, cutters, parts and accessories for your Braun 5695 electric shaver. Original and aftermarket replacement heads, foils, cutters, parts and accessories for your Braun 5696 electric shaver. Original and aftermarket replacement heads, foils, cutters, parts and accessories for your Braun 790cc electric shaver. Original and aftermarket replacement heads, foils, cutters, parts and accessories for your Braun 790cc-3 electric shaver. Original and aftermarket replacement heads, foils, cutters, parts and accessories for your Braun 790cc-4 electric shaver. Original and aftermarket replacement heads, foils, cutters, parts and accessories for your Braun 790cc-5 electric shaver. Original and aftermarket replacement heads, foils, cutters, parts and accessories for your Braun 795cc-3 electric shaver. Original and aftermarket replacement heads, foils, cutters, parts and accessories for your Braun 799cc electric shaver. Original and aftermarket replacement heads, foils, cutters, parts and accessories for your Braun 5693 electric shaver. Original and aftermarket replacement heads, foils, cutters, parts and accessories for your Braun 760cc electric shaver. Original and aftermarket replacement heads, foils, cutters, parts and accessories for your Braun 760cc-3 electric shaver. Original and aftermarket replacement heads, foils, cutters, parts and accessories for your Braun 765cc-3 electric shaver. Original and aftermarket replacement heads, foils, cutters, parts and accessories for your Braun 760cc-4 electric shaver. Original and aftermarket replacement heads, foils, cutters, parts and accessories for your Braun 760cc-5 electric shaver. Original and aftermarket replacement heads, foils, cutters, parts and accessories for your Braun 765cc-4 electric shaver. Original and aftermarket replacement heads, foils, cutters, parts and accessories for your Braun 765cc-5 electric shaver. Original and aftermarket replacement heads, foils, cutters, parts and accessories for your Braun 730 electric shaver. Original and aftermarket replacement heads, foils, cutters, parts and accessories for your Braun 730s-3 electric shaver. Original and aftermarket replacement heads, foils, cutters, parts and accessories for your Braun 730s-4 electric shaver. Original and aftermarket replacement heads, foils, cutters, parts and accessories for your Braun 735s-3 electric shaver. Original and aftermarket replacement heads, foils, cutters, parts and accessories for your Braun 735s-4 electric shaver. Original and aftermarket replacement heads, foils, cutters, parts and accessories for your Braun 750cc electric shaver. Original and aftermarket replacement heads, foils, cutters, parts and accessories for your Braun 750cc-3 electric shaver. Original and aftermarket replacement heads, foils, cutters, parts and accessories for your Braun 750cc-4 electric shaver. Original and aftermarket replacement heads, foils, cutters, parts and accessories for your Braun 750cc-5 electric shaver. Original and aftermarket replacement heads, foils, cutters, parts and accessories for your Braun 9585 electric shaver. Original and aftermarket replacement heads, foils, cutters, parts and accessories for your Braun 9785 electric shaver. Original and aftermarket replacement heads, foils, cutters, parts and accessories for your Braun 720 electric shaver. Original and aftermarket replacement heads, foils, cutters, parts and accessories for your Braun 9565 electric shaver. Original and aftermarket replacement heads, foils, cutters, parts and accessories for your Braun 9566 electric shaver. Original and aftermarket replacement heads, foils, cutters, parts and accessories for your Braun 9781 electric shaver. Original and aftermarket replacement heads, foils, cutters, parts and accessories for your Braun 9782 electric shaver. Original and aftermarket replacement heads, foils, cutters, parts and accessories for your Braun 7-720 electric shaver. Original and aftermarket replacement heads, foils, cutters, parts and accessories for your Braun 735 electric shaver. Original and aftermarket replacement heads, foils, cutters, parts and accessories for your Braun 740 electric shaver. Original and aftermarket replacement heads, foils, cutters, parts and accessories for your Braun 750 electric shaver. Original and aftermarket replacement heads, foils, cutters, parts and accessories for your Braun 770 electric shaver. Original and aftermarket replacement heads, foils, cutters, parts and accessories for your Braun 780 electric shaver. Original and aftermarket replacement heads, foils, cutters, parts and accessories for your Braun 795cc electric shaver. Original and aftermarket replacement heads, foils, cutters, parts and accessories for your Braun 720s-3 electric shaver. Original and aftermarket replacement heads, foils, cutters, parts and accessories for your Braun 720s-4 electric shaver. Original and aftermarket replacement heads, foils, cutters, parts and accessories for your Braun 720s-5 electric shaver. Original and aftermarket replacement heads, foils, cutters, parts and accessories for your Braun 790cc-6 electric shaver. Original and aftermarket replacement heads, foils, cutters, parts and accessories for your Braun 799cc-6 electric shaver. Original replacement heads, Chargers, foils, cutters, combipacks, parts and accessories for your Braun 720s-6 Series 7 shaver. Series 7 Shaver with 4-way moving shaving head, OptiFoil shaving foil and Flexible cutting elements. 3 LED charging indicator, integrated hair trimmer. Washable. Original and aftermarket replacement heads, foils, cutters, parts and accessories for your Braun 720s-7 electric shaver. Original and aftermarket replacement heads, foils, cutters, parts and accessories for your Braun 735cc-4 electric shaver. Original and aftermarket replacement heads, foils, cutters, parts and accessories for your Braun 750cc-6 electric shaver. Original and aftermarket replacement heads, foils, cutters, parts and accessories for your Braun 750cc-7 electric shaver. Original and aftermarket replacement heads, foils, cutters, parts and accessories for your Braun 5697 electric shaver. Original and aftermarket replacement heads, foils, cutters, parts and accessories for your Braun 740s-6 electric shaver. Original and aftermarket replacement heads, foils, cutters, parts and accessories for your Braun 740s-7 electric shaver. Original and aftermarket replacement heads, foils, cutters, parts and accessories for your Braun 5250 electric shaver. Original and aftermarket replacement heads, foils, cutters, parts and accessories for your Braun 5536 electric shaver. Original and aftermarket replacement heads, foils, cutters, parts and accessories for your Braun 5537 electric shaver. Original and aftermarket replacement heads, foils, cutters, parts and accessories for your Braun 5538 electric shaver. Original and aftermarket replacement heads, foils, cutters, parts and accessories for your Braun 5520 electric shaver. Original and aftermarket replacement heads, foils, cutters, parts and accessories for your Braun 5316 electric shaver. Original and aftermarket replacement heads, foils, cutters, parts and accessories for your Braun 5466 electric shaver. Original and aftermarket replacement heads, foils, cutters, parts and accessories for your Braun 5476 electric shaver. Original and aftermarket replacement heads, foils, cutters, parts and accessories for your Braun 5477 electric shaver. Original and aftermarket replacement heads, foils, cutters, parts and accessories for your Braun 5503 electric shaver. Original and aftermarket replacement heads, foils, cutters, parts and accessories for your Braun 5504 electric shaver. Original and aftermarket replacement heads, foils, cutters, parts and accessories for your Braun 5483 electric shaver. Original and aftermarket replacement heads, foils, cutters, parts and accessories for your Braun 5478 electric shaver. Original and aftermarket replacement heads, foils, cutters, parts and accessories for your Braun 5446 electric shaver. Original and aftermarket replacement heads, foils, cutters, parts and accessories for your Braun 6550 electric shaver. Original and aftermarket replacement heads, foils, cutters, parts and accessories for your Braun 6525 electric shaver. Original and aftermarket replacement catteries, heads, foils, cutters, power cords, parts and accessories for your Braun 6520 electric shaver. The Braun 6520 Flex Integral Ultra Speed has a High Speed oscilating and pivoting head to adjust to the face's contours. Three-stage cutting system. Has a pop-up hair trimmer for mustache and sideburns, recharges in one hour for 60 minutes of shaving time. Charge Indicator, travel case. Original and aftermarket replacement heads, foils, cutters, parts and accessories for your Braun 6515 electric shaver. Original and aftermarket replacement heads, foils, cutters, parts and accessories for your Braun 6510 electric shaver. Original and aftermarket replacement heads, foils, cutters, parts and accessories for your Braun 6015 electric shaver. 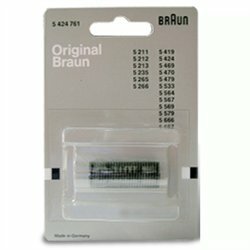 Original and aftermarket replacement heads, foils, batteries, chargers, cutters, parts and accessories for your Braun 5515 shaver. Rechargeable Flex Integral shaver with oscillating head, double shaving foil and integral cutter. High extendable hair trimmer, charging indicator light. Original and aftermarket replacement heads, foils, cutters, parts and accessories for your Braun 5510 electric shaver. Original and aftermarket replacement heads, foils, cutters, parts and accessories for your Braun 5315 electric shaver. Original and aftermarket replacement heads, foils, cutters, parts and accessories for your Braun 5314 Flex Integral electric shaver. Flexible oscillating head with double foil and integral cutter, long hair cutter, charging indicator light, 1 hour fast-charging time, overcharge protection. Original and aftermarket replacement heads, foils, cutters, parts and accessories for your Braun 5015 electric shaver. Original and aftermarket replacement heads, foils, cutters, parts and accessories for your Braun 5010 electric shaver. Original and aftermarket replacement heads, foils, cutters, parts and accessories for your Braun 5005 electric shaver. Original and aftermarket replacement heads, foils, cutters, parts and accessories for your Braun 5465 electric shaver. Original and aftermarket replacement heads, foils, cutters, parts and accessories for your Braun 5468 electric shaver. Original and aftermarket replacement heads, foils, cutters, parts and accessories for your Braun 5505 electric shaver. Original and aftermarket replacement heads, foils, cutters, parts and accessories for your Braun 5506 electric shaver. Original and aftermarket replacement heads, foils, cutters, parts and accessories for your Braun 5507 electric shaver. Original and aftermarket replacement heads, foils, cutters, parts and accessories for your Braun 5703 electric shaver. Original and aftermarket replacement heads, foils, cutters, parts and accessories for your Braun 5704 electric shaver. Original and aftermarket replacement heads, foils, cutters, parts and accessories for your Braun 5705 electric shaver. Original and aftermarket replacement heads, foils, cutters, parts and accessories for your Braun 5706 electric shaver. Original and aftermarket replacement heads, foils, cutters, parts and accessories for your Braun 5707 electric shaver. Original and aftermarket replacement heads, foils, cutters, parts and accessories for your Braun 6522 electric shaver. Original and aftermarket replacement heads, foils, cutters, parts and accessories for your Braun 6518 electric shaver. Original and aftermarket replacement heads, foils, cutters, parts and accessories for your Braun 6513 electric shaver. Original and aftermarket replacement heads, foils, cutters, parts and accessories for your Braun 6512 electric shaver. Original and aftermarket replacement heads, foils, cutters, parts and accessories for your Braun 6012 electric shaver. Original and aftermarket replacement heads, foils, cutters, parts and accessories for your Braun 5443 electric shaver. Original and aftermarket replacement heads, foils, cutters, parts and accessories for your Braun 5444 electric shaver. Original and aftermarket replacement heads, foils, cutters, parts and accessories for your Braun 5474 electric shaver. Original and aftermarket replacement heads, foils, cutters, parts and accessories for your Braun 5311 electric shaver. Original and aftermarket replacement heads, foils, cutters, parts and accessories for your Braun 5312 electric shaver. Original and aftermarket replacement heads, foils, cutters, parts and accessories for your Braun 5000 electric shaver. Original and aftermarket replacement heads, foils, cutters, parts and accessories for your Braun 5441 Flex Integral System electric shaver. Original and aftermarket replacement heads, foils, cutters, parts and accessories for your Braun 5442 electric shaver. Original and aftermarket replacement heads, foils, cutters, parts and accessories for your Braun 5485 electric shaver. Original and aftermarket replacement heads, foils, cutters, parts and accessories for your Braun 5611 electric shaver. Original and aftermarket replacement heads, foils, cutters, parts and accessories for your Braun 5876 electric shaver. Original and aftermarket replacement heads, foils, cutters, parts and accessories for your Braun 5884 electric shaver. Original and aftermarket replacement heads, foils, cutters, parts and accessories for your Braun 5888 electric shaver. Original and aftermarket replacement heads, foils, cutters, parts and accessories for your Braun 5080cc electric shaver. Original and aftermarket replacement heads, foils, cutters, parts and accessories for your Braun Lady Braun electric shaver. Original and aftermarket replacement heads, foils, cutters, parts and accessories for your Braun 5650 electric shaver. Original and aftermarket replacement heads, foils, cutters, parts and accessories for your Braun Standard 60 electric shaver. Original and aftermarket replacement heads, foils, cutters, parts and accessories for your Braun Standard 62 electric shaver. Original and aftermarket replacement heads, foils, cutters, parts and accessories for your Braun Standard 63 electric shaver. Original and aftermarket replacement heads, foils, cutters, parts and accessories for your Braun S21 electric shaver. Original and aftermarket replacement heads, foils, cutters, parts and accessories for your Braun S63 electric shaver. Original and aftermarket replacement heads, foils, cutters, parts and accessories for your Braun SM3 electric shaver. Original and aftermarket replacement heads, foils, cutters, parts and accessories for your Braun 5546 electric shaver. Original and aftermarket replacement heads, foils, cutters, parts and accessories for your Braun 5708 electric shaver. Original and aftermarket replacement heads, foils, cutters, parts and accessories for your Braun 6610 FreeGlider electric shaver. Original and aftermarket replacement heads, foils, cutters, parts and accessories for your Braun 6620 FreeGlider electric shaver. MicroComb technology, dual SensoFoil head, NI-MH battery with 45 minutes of autonomy, 3-level indicator LED, waterproof. Original and aftermarket replacement heads, foils, cutters, parts and accessories for your Braun 3040s electric shaver. Wet & dry Series 3 shaver with Triple Action Cutting System, Dual SensoFoil foil, large integrated precision trimmer. 45 min. of shaving time, Waterproof, travel case. Original replacement heads, replacement foils, batteries, cutters, charger and accessories for your Braun 3080S ProSkin rechargeable shaver. Original and aftermarket replacement heads, foils, cutters, parts and accessories for your Braun 3090cc electric shaver. Original and quality aftermarket replacement foils, heads, cutters, parts and accessories for your Braun 530s-4 electric shaver. Rechargeable washable shaver that features a ActiveLift System that captures flat hair in problem areas with integral cutter with 130 strokes per second. Optifoil geometry foil, flexible razor head to adapt to curved areas. Original and aftermarket replacement heads, foils, cutters, parts and accessories for your Braun 3040 electric shaver. Original replacement heads, foils, cutters, batteries, parts and cassetes for your Braun 3045s Wet&Dry Shaver. The Series 3 Proskin is a washable shaver that features Microcomb system that catches even more hair into the cutters. Flexible foils that adapt to the face contours. Integrated trimmer and charging indicator. Original and aftermarket replacement heads, foils, cutters, parts and accessories for your Braun 350cc electric shaver. Braun 628 Shaver Foil Replacement. Fits Braun series 3000 Electric Shavers / Interface / Interface Excel Quality OEM replacement not manufactured by Braun. 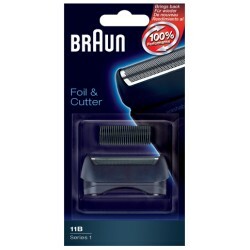 Braun Replacement Foil Cutter. Fits Series Braun 1000/ 2000/ FreeControl/ Series1/ Cruzer/ Vario 3/ Linear 235/ ... Quality OEM replacement not manufactured by Braun. Braun 5S Replacement foil. Fits Braun 500/2000, CruZer Twist, PocketGo, Pocket, MobileShave, etc Quality OEM replacement not manufactured by Braun. 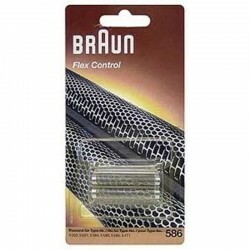 Braun 596 replacement foil. Fits Braun series 1000 / 2000 / Shave&Shape / E-Razor shavers. Quality OEM replacement not manufactured by Braun. Braun 11B Shaver Foil Replacement. Fits Braun Series 1 Electric Shavers. Quality OEM replacement not manufactured by Braun. Braun 424 Shaver Foil Replacement. Fits Braun system 1-2-3 / Micron Vario 3 / Action line. Quality OEM replacement not manufactured by Braun. Braun 424 Shaver Cutter Replacement. Fits Braun system 1-2-3 / Micron Vario 3 / Action line. Original replacement manufactured by Braun. 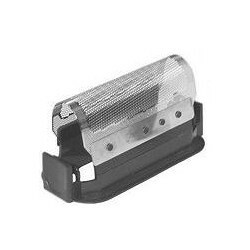 Braun 428 / 422 / 420 Shaver Foil Replacement. 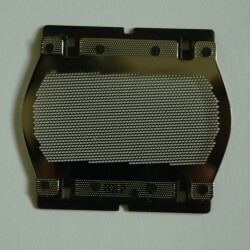 Fits Braun Micron 808 / Plus / S / SL / 1000 / 2000/ 2005 Quality OEM replacement not manufactured by Braun. Braun 585 / 586 Shaver Foil Replacement. Fits Braun Flex Control and Twin Control Shavers Quality OEM replacement not manufactured by Braun. Braun 586 Shaver Foil Replacement. Fits Braun FlexControl Electric Shavers Color: Grey Original replacement manufactured by Braun.